Spartoo – 20% off Rings. 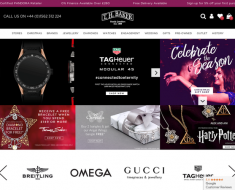 Spartoo – Expires: 02/10/2019 – Get 20% off Rings. 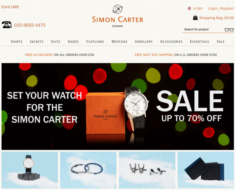 Simon Carter – 20% off Men’s Cufflinks. Pink Clove – 25% off Dresses, Jumpsuits and Playsuits. 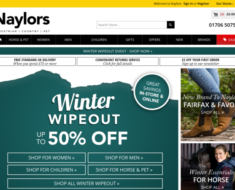 Naylors UK – Winter Wipeout Event – Extra 20% off Children’s Riding Boots. 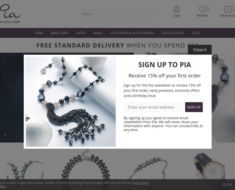 piajewellery.com – Save 20% When You Spend £50 or More. T.H. Baker – 10% off The TH Baker Collection.